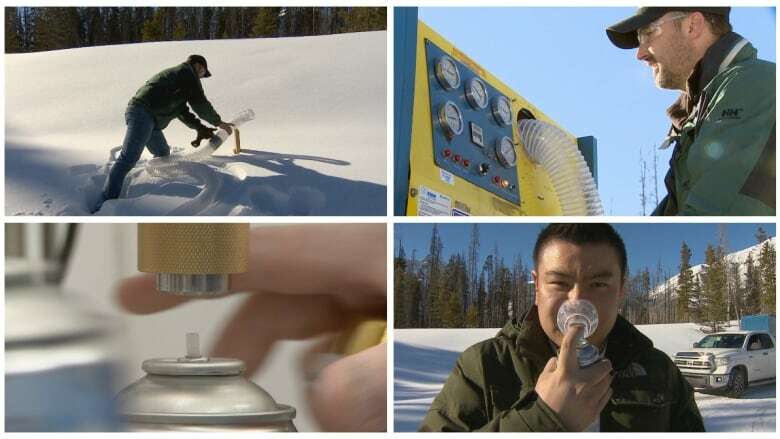 Moses Lam and Troy Paquette are capturing, compressing and commercializing something most Albertans take for granted — fresh air. Moses Lam and Troy Paquette are capturing, compressing and commercializing something most Canadians take for granted — fresh air. The pair of Alberta entrepreneurs made headlines back in 2015, largely as a curiosity. Their company, Vitality Air, was reminiscent of the fictional cans of "Perri Air" from the movie Spaceballs. But Lam says the venture is no joke, and they've been doing about $300,000 in annual sales for the past couple of years through online purchases and retail stores in South Korea. They're also eyeing a major expansion, working with European distributors and hoping to soon move into the retail markets of the world's two most populous countries. "We're not in retail stores yet in China or India," Lam said. "Once we do, we expect our sales to be in the millions." Getting to this point has been a challenge for the unusual company, he added, as many distributors and retailers still aren't quite sure what to make of Vitality Air. Lam said they're still working on "getting people used to the concept of transporting air from one part of the world to the other." "There's lots of different air companies — like, there's air-filter companies and there's companies with [breathing] masks," he said. "But ... we're different. We're taking clean and pristine air, and we're moving it from one part of the world to the other. We're not taking dirty air and filtering it." A bottle of air that comes with a mask and is enough for approximately 160 one-second breaths sells for $32 on the company's online store. "Our main target market is definitely China, India, Korea, Vietnam, Dubai — the places where there's a lot of air pollution," Lam said. "In China, we have big CEOs of big companies purchasing our products because they want to experience fresh air, breathe fresh air, so that they can work harder, work longer." The air comes in two varieties — Banff and Lake Louise — and Lam said it's popular among tourists who have visited the "iconic" Canadian locations and want something other than a keychain or T-shirt as a memento. "They haven't had a way to take that fresh air home with them as a souvenir," he said. "But now they can." 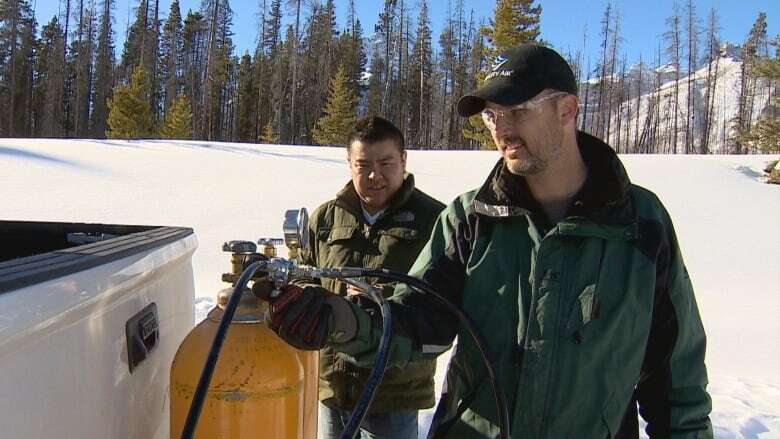 The air comes directly from the mountains of Alberta, sucked in through large tubes and into an air compressor mounted on the back of a truck. "Most of the equipment out there is designed to be in shops — and not designed to be mobile and out into the wilderness," said Paquette, who has a background in commercial diving and handles the acquisition side of the business. "I took some different compressor units in some different systems that I've learned over the years, and I modified them to be mobile." The air is tested for quality, he said, before being portioned out into smaller cans that are sold and shipped around the world. The pair got started in the air business in 2014, when, half as a joke, they tried selling a Ziploc bag of air on eBay, the online auction site. Someone bought it for 99 cents but they found they lost money on the deal because they had to pay for shipping. So they tried again, at a higher price point, and were pleasantly surprised when an American bidder agreed to buy the next bag of air for $168 US. "It was really the starting point for our business," Lam said. "We knew there was a market for this product." They incorporated and sold their first bottle of air in June 2015. It may sound silly to Canadians who take clean air for granted, but Paquette said there is a genuine market in other countries for imported air. He compares it to bottled water, which might have seemed ridiculous a few decades ago but is now sold pretty much everywhere. "Alberta is known for amazing water yet people still buy water from Fiji, right?" They may be convinced, but not everyone is. The investors on Dragons' Den all said "I'm out" when Vitality Air came looking for an investment. But Lam, Paquette and Roland Hung, who handles the legal side of the business, are sticking with it — and looking to grow. 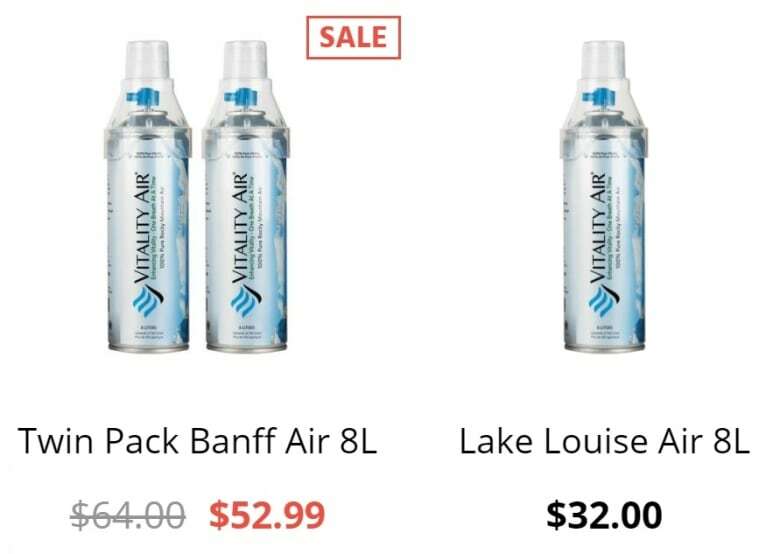 Vitality Air now also sells a variety of other products, including concentrated oxygen that comes in different flavours. "So, like strawberry oxygen, grape, root beer," Lam said. "We're going to be coming out with mango oxygen for our Asian markets." They also have a new, liquid offering called "Myst" that Lam said is basically "water from Banff" that people use as a makeup remover. "We want to be a nature-based company where much of our stuff is from Alberta and from Banff," he said. But they remain, first and foremost, a bottled-air company. "We want to make Canadian fresh air available 24/7," Lam said, "no matter where you're located."